When a fault occurs in a power system, the protective relays detect the fault and trip appropriate circuit breakers, which isolate the affected equipment from the rest of the power system. Fault diagnosis of power systems is the process of identifying faulty components and/or sections by analysing observable symptoms (telemetry messages). As the domain is characterised by dynamic situations, extensive telemetering, complex operations, and distribution of lines and substations over a large geographical area, it is difficult to tackle fault diagnosis problems through the strength and capability of a single intelligent system. 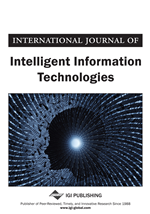 This paper describes an experimental multi-agent system developed for and aimed at a computer-supported fault diagnosis in electricity distribution networks. The system is based on a hierarchy of five agents that cooperate with each other to diagnose a fault. A set of detailed case studies is presented, and the results obtained suggest that an agent-based approach is very efficient and has a good potential for real-time application.